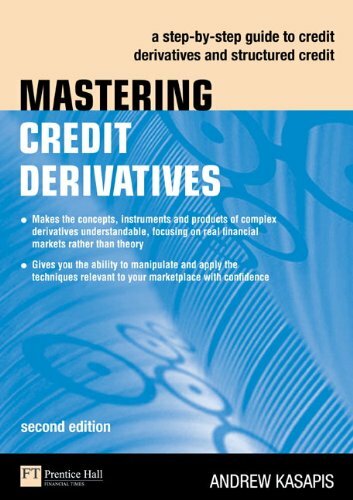 This second edition of Mastering Credit Derivatives has been completely revised to include new movements in the world of finance. The first part of the book is set aside as a condensed, updated version of the previous edition whereas the next two thirds are dedicated to recent innovations such as Structured Credit Derivatives and Greeks and Tranche Sensitivity. The book is written on a purely ‘need to know’ basis, avoiding the archaic, theoretical and excessively mathematical concepts. Input from market practitioners offers valuable insight into where they believe the market is headed in the future. Derivatives is a huge area, thought to be worth trillions of pounds. With new products being constantly introduced, it is important to keep up-to-date with its rapid growth. By Mechanical Industry Press; 1st edition (January 1.